“I never knew he was serious about the post,” Ijeoma told the BBC. 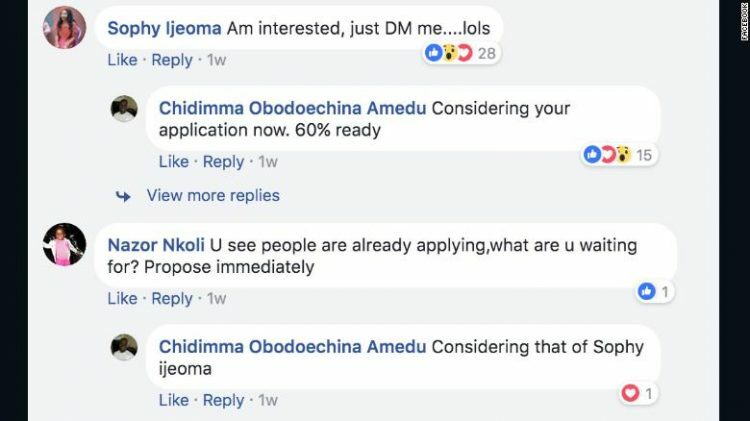 Amedu, however, was completely serious. He sent her a private message, and they began chatting via Facebook messenger. Two days later the couple had their first date at a mall in Ijeoma’s hometown of Enugu, in southeastern Nigeria. Amedu traveled over 500 km (300 miles) from his home in the northern city of Abuja to meet her there. Amedu felt the same, and after taking one look at her said, “You’re beautiful”. After two hours of conversation, Amedu asked Ijeoma to meet his uncle who also happened to live in Enugu. Family support behind one’s choice of spouse is an essential part of Igbo culture. The couple decided to keep their momentum and seek the approval of Ijeoma’s family on the same day. Her father had passed away, so it was up to her elder brother to give his blessing, which, somewhat surprisingly, he did. 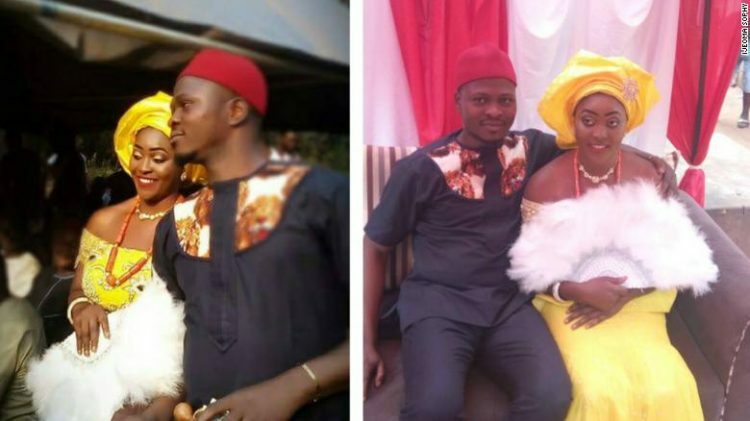 It was official – Amedu and Ijeoma were engaged to be married all within hours of meeting. “At first, her family thought I was not serious, but I proved to them that I was,” Amedu told CNN. The couple planned their wedding over the next four days after taking a test to find out if they were medically compatible. Nigeria has a high rate of sickle cell anemia, and couples are advised to compare their genotypes to avoid having children with the condition. 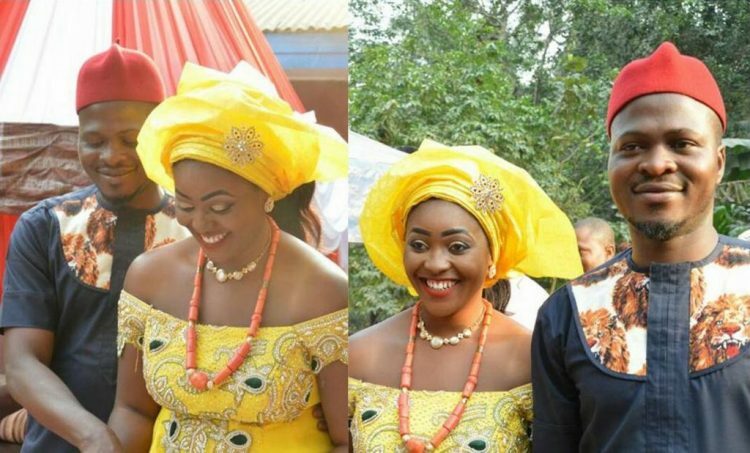 All went well, and on January 6, 2018, the couple officially became husband and wife, in a traditional Igbo ceremony. “I am happy that I married him. He is my kind of man,” Ijeoma told CNN.